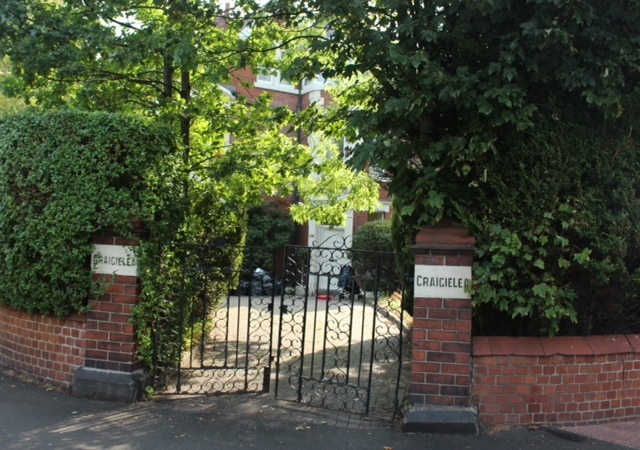 ‘Craigielea’ (276 Heaton Road) is an imposing early Edwardian brick villa situated on the corner of Heaton Road and Cartington Terrace opposite both St Gabriel’s church and the Heaton Medicals cricket and rugby ground. We were thrilled when just before recent owner Jimmy McAdam moved out, he invited us to look through the house’s deeds and other documents. What would they reveal? We suspected that some interesting people would have crossed its threshold and we weren’t disappointed. The first question the documents answered was the age of the house. The first conveyance is dated 3 June 1902. It shows that William Watson Armstrong, who had inherited Lord Armstrong’s estate only eighteen months earlier, sold three adjoining plots of land, on what was termed the Heaton Park Villa Estate, to builder William Thompson of Simonside Terrace. The contract came with a myriad of strict provisos concerning the quality of the properties to be built on the site: only high quality materials were to be used; the roof and back offices were to be covered with Bangor or Duke of Westmoreland slate, yard fences were to be wire railings of approved design and four feet high; the front was to comprise a garden only; no trades were to be pursued from the properties etc. The high standard of design and workmanship is still evident today. William Thompson was the first owner of Craigielea but not its first resident. That honour seems to have gone to the Lish family. At least they are the first to be named in the annual trade directories. Joseph James Lish was born in Beamish, County Durham in 1841. By the time he moved to Heaton, he had been married for over 35 years to his wife, Nancy, a Londoner, and they had 5 children, the rather exotically named John Robertson, Kirkwood Hewat, Catherine Hozier Robertson, Bentley Beavons and Florence Meek. Sadly John, a Second Lieutenant in the Lincolnshire Regiment, was to die during the First World War. He is cited in De Ruvigny’s Roll of Honour which, in addition to giving details of his military service and heroic death, records that he was a shipbroker, coal exporter and all round sportsman. 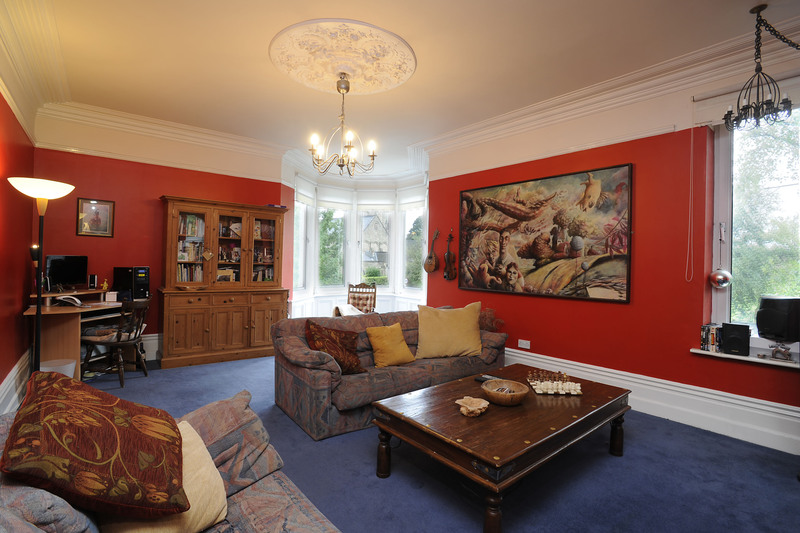 His father, Joseph Lish, was an architect but he didn’t design the house or its two neighbouring properties. 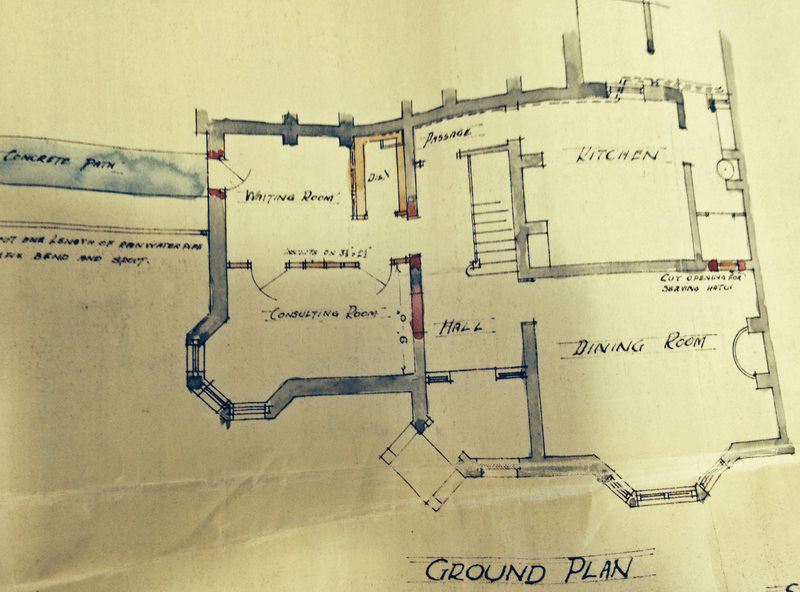 The original plans in Tyne and Wear Archive show that they were the work of the well-known Tyneside architects, William Hope and Joseph Charlton Maxwell. Hope and Maxwell are remembered for their design of theatres, not only locally in Blyth and Newcastle, but as far afield as Glasgow, Margate and Southampton. Sadly the Hope and Maxwell theatres have all been demolished or been destroyed by fire. Another of their buildings does still stand, however, just up the road from Craigielea. It’s Heaton Methodist Church. But back to Craigielea‘s first resident. There are a number of known Lish buildings around Tyneside, the most well known of which is the 1908 Dove Marine Laboratory, which still stands at Cullercoats. There is a book in Newcastle City Library in which Lish describes the design and build of the laboratory. He was an early advocate of reinforced concrete, using it in the Dove laboratory. What’s more, over a quarter of a century earlier, in 1874, he had exhibited his own invention, ‘Tilo-Concrete’. Lish was prominent in his profession both regionally and nationally. At one stage he was the President of the Society of Architects, whose Gold Medal he was awarded. He died in 1922 at the age of 80. By 1911, the Lish family had left Heaton and marine engineer Robert Bales Armstrong and his wife, Margaret Emma, had moved in with their eight children and Robert’s sister, Sarah. Robert, from West Herrington in County Durham, was the son of a cartman/sheep farmer. His wife, from the same county, had worked as a Post Office assistant before she was married. By 1911, the two older boys, Frank Bales and Robert Hunter, were both apprentices in engineering and ship building respectively. The older girls, Sarah Jane and Daisy Bales ‘assisted with housework’; John, David Bales and Reginald Hugh were at school and Doris Hunter and Gladys May were under school age. The family also had a live-in servant, Annie Elizabeth Robinson. You can see why they needed a substantial house! We are indebted to researchers of the Armstrong family tree who have posted on the Ancestry website for the above photo and additional information about Robert who had begun his career as a draughtsman at Hawthorn Leslie, worked for a while at Day, Summers and Co in Southampton and returned to the North East and Hawthorn Leslie in 1905. While living in Heaton, he was Chief Assistant to the Engineering Director and then General Manager. 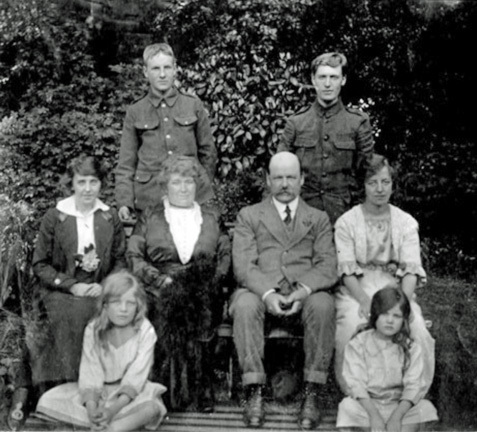 The family left Craigielea just before the end of the First World War. Robert was awarded the OBE in 1918 for his part in keeping the shipyards open during the war. Later he invented a steam powered boiler, the ‘Hawthorn-Armstrong’. Robert died in 1931 only weeks after becoming Managing Director of R & W Hawthorn, Leslie and Co Ltd.
Next to move in to Craigielea was Herbert Pledger and his family. Herbert Pledger was born in Cambridgeshire, the son of a ‘bootmaker and publican’. By 1891, at the age of 22, he was a draper’s assistant in Saffron Walden, Essex and lodging with his employer. 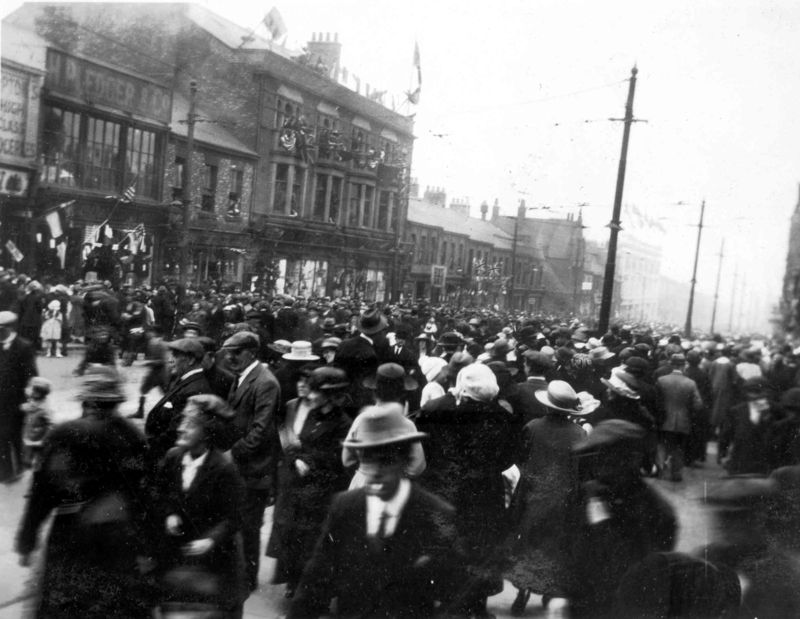 Within a few years, he had moved North and entered into a business partnership on Shields Road (See below). Soon he was to have his own firm. We can track Herbert’s success by his various Heaton addresses. In 1895, he lodged at 29 Kingsley Place. By 1900 he was married, with a young son, and was householder at 105 Cardigan Terrace. In 1911, he, his Gateshead born wife, Annie and their children, Herbert Junior, William Cowley and Marjorie plus servant Isabella Caisley lived at 20 Simonside Terrace and for a couple of years from 1918, they lived at Craigielea before moving just up Heaton Road to Graceville. Herbert Pledger Senior died in 1929 with an estate worth over £80,000, a significant fortune then. After the Pledgers moved out, the house was owned and occupied briefly by William Thompson, builder. This was the first time it had been owner-occupied and at present, we can only surmise that this is the same William Thompson who had built the house 20 years or so earlier. He seems also to have had a house in Coquet Terrace (number 39). Sadly he died soon after. Isabella , his widow, sold Craigielea in 1931 to William Thompson Hall, a doctor who also had a surgery at 12 Heaton Road. There is a document in which the freeholder’s lawyers say that (despite the original clause forbidding trades being practised from the house) they had no objection to Dr Hall’s medical practice and, subject to the approval of Lord Armstrong’s architects, a side entrance could be made for the convenience of Dr Hall. The plans are held by Tyne and Wear Archive. Dr Hall died in 1934 at which point the house passed into the ownership of his widow, Edith, and an Isabel Dorothy Reed. From this point on, biographical information about the householders becomes a little harder to find but we do have the bare bones. From just before World War 2 until the late fifties, a Maurice Edward Robinson, manager, was in residence but didn’t own the property. In 1958 Vincent and Margaret Richards Fleet moved from 14 Coquet Terrace, paying Hall and ‘another’ £1,900. When Vincent Fleet died in 1977 the house was passed firstly to ‘Thomas and Spencer’ and then to the Taz Leisure group, which applied for, but was refused, permission to convert the house into the HQ of the Northumbrian branch of the Red Cross Society. 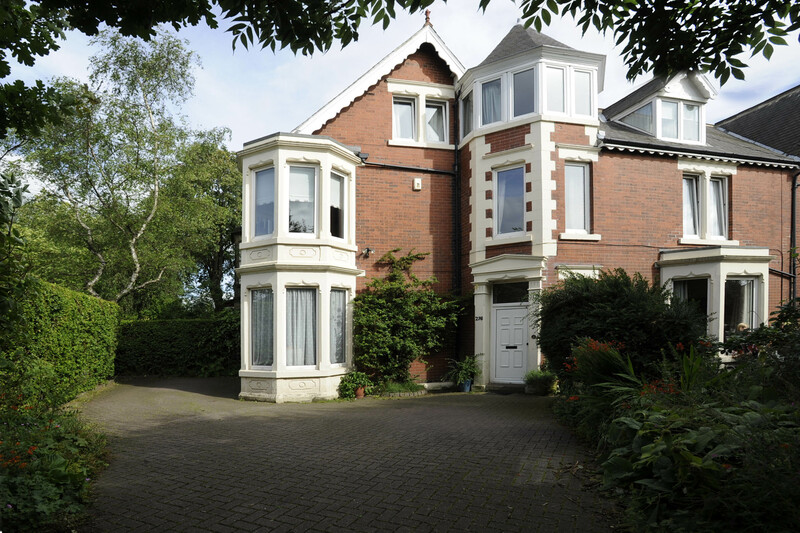 It was then sold to Ronald and Philippa Oliver in 1985 (They had moved, as so many of the more recent owners had, from a nearby Heaton residence – in this case 18 Westwood Avenue.) The Olivers in turn sought planning permission, this time to use part of the ground floor for a tea room but this too was refused and the Olivers also soon sold the house. There were to be two further owners, ‘Maill and Grant’ and then Carol Simpson before Jimmy and Lesley McAdam of Tosson Terrace bought it in 1994 and lived there for over 20 years. Jimmy is a photographer and has a wealth of stories of his own to tell – but they’ll wait for another day! 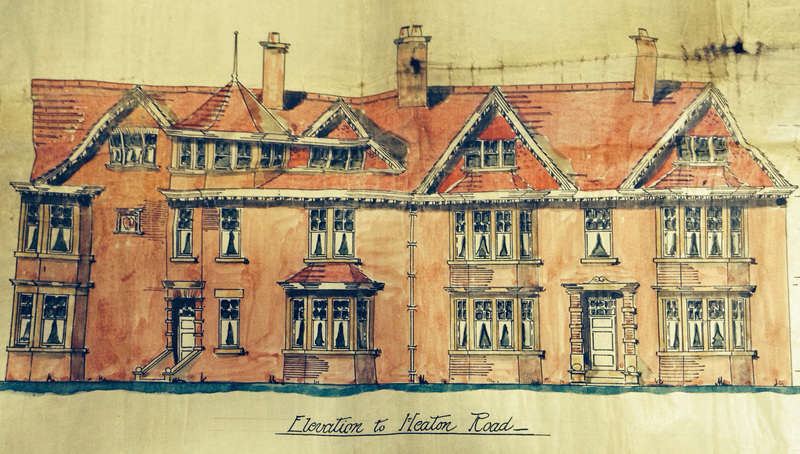 This entry was posted in Research and tagged architect, butcher, Cardigan Terrace, Cartington Terrace, coal exporter, Coquet Terrace, cricket, draper, Edgar Couzens, Heaton Methodist Church, Heaton Park Villa Estate, Heaton Road, Herbert Pledger, Hope and Maxwell, Joseph James Lish, Kingsley Place, marine engineer, Medicals, photographer, Pledger, Robert Bales Armstrong, rugby, Shields Road, shipbroker, Simonside Terrace, St Gabriel's, Tosson Terrace, Westwood Avenue, William Armstrong, William Watson Armstrong, WW1 on September 7, 2014 by oldheaton. Thank you for getting in touch, Tim. It’s great to be able to add another detail to the history of Heaton and 276 Heaton Road, in particular. Chris (Secretary, Heaton History Group). I’ve read your history of Craigielea with some interest. William Cowley Pledger was my grandfather. He joined his father’s drapery business along with his brother Herbert but he hated it and around the outbreak of WWII went to Newcastle University to read Agriculture and just after the war bought a farm at Cleasby, Darlington part of which is still in the family. My mother often talked of the business so it is fascinating to see the photos and learn of Bill’s childhood homes. I’ve just found the Heaton History group article on Craigielea. I’m really interested in this as I’ve always wanted to go inside the house as it was built by my great grandfather William Thompson. My mum, Dorothy Gilhome, is now 96 and lived at Craigielea with her grandma and grandpa Isabella and William when she was quite young. The William Thompson you refer to that lived in the house was the original builder. She was born in 1923 and her parents separated and divorced when she was really young. She was then brought up by her grandparents Isabella and William. Dorothy remembers being in the turret room and having a great view across to the town moor. She could see the Hoppings and was taken there by their live in maid Elsie (from Ashington). Dorothy also remembers her dad and grandad having a big car – her dad would drive down to London from Craigilea in the 1920s flappers time. Dorothy has always remembered the house with fondness. She still talks about it now. I have pictures of William Thompson and of Isabella which I could copy when I am next in Newcastle. Thank you so much for writing about the house.